Real Stone and Wood Split Face Mosaics from only £26.99 per m2 fully inclusive of VAT. Split Face Mosaics provide an excellent solution for areas that would benefit from a natural stone finish. This exciting 3D Ledge Stone wall cladding is available in a range of stunning, stone types, colours and textures bringing the feel of the great outdoors to your home. Natural stone cladding Split Face mosaics are a new addition to our ever growing range,available in Slate or Quartz as Black Slate, Black Quartz ,Oyster Slate , White Quartz, Cream Quartz, Multicolour Slate. 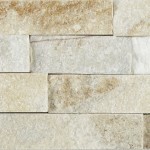 We also offer Beige , Nero and White/Cream in our Mini Ledge Stone variety. Our Split Face (Maxi) 550x150mm ( " Z " shaped) tiles have staggered/interlocking ends for a straight forward installation without the requirement of grout ,this provides a seamless ,3D appearance of natural stone that will give a modern & contemporary feel to any home or commercial project. If interested in a sample of our Split Face mosaics then, due to the heavy weights involved, we unfortunately have to charge £ 1.99 per sample for an offcut of approx 10 cm x 10 cm or ,we can courier ,on a "next working day" basis, a full 550 mm x 150 mm sample tile for £ 10.99 fully inclusive of VAT. ALL PRICES BELOW ARE SQUARE METRE PRICES AND INCLUDE VAT. Beige Electra Brickbone Marble Mosaic tiles . Grey & White Brickbone Marble Mosaic tiles . Maxi Black Slate Split Face Mosaic Tile Z tile Cladding suitable for internal or external use . Sunset / Cappucino Brickbone Marble Mosaic tiles .